Imagine, for a moment, half of your favorite YouTube stars going to the same college, obsessively using all your favorite social networking programs. It’s almost like some alternate reality where obsessively twittering, texting, Facebook stalking, and playing Halo is the epitome of coolness. Starting October 1st, “Hooking Up” commenced its ten episode run, with new episodes released weekly. HBOlab is showcasing the project at the American Film Institute’s DigiFest 2008, billing it as “a cross-platform alternate reality game” seeking to “explore how [an] online narrative series might integrate cross-platform promotions to build both intrigue and audience.” AFI’s Digital Content Lab is working with HBOlab on the production. So far, the interactive and cross-media elements of “Hooking Up” are admittedly sparse. This may change after adding the characters to my social networking profiles, as the site claims you can “Become friends with your favorite HOOKING UP characters…and be part of the hidden story!” The Hooking Up homepage features “bask-book”, a social networking Facebook clone for the fictitious Bask University and its attendees that leads to MySpace and Facebook profiles, where the characters communicate (and miscommunicate) with each other. A post by Kevin Nalts implies that the series will expand to include access to e-mails between the two main characters. The site also provides links to bonus video content. Overall, the web resources backing “Hooking Up” seem woefully underutilized — the faux-social networking site “bask-book” could have offered a central hub for interaction and viewing, but numerous links drive viewers to external resources with minimal content, and registration on the main website isn’t activated so the forums are empty. Blog entries at the show’s homepage are exclusively populated by spammers, while the YouTube Channel features thousands of posts. Television, whether terrestrial or internet, is embracing genuinely innovative interactive elements. A UK promotion for Bones featured crime scenes in British shop windows. Sarah, the AI house on Eureka, regularly interacts with viewers via her twitter account, and even conducted a twitterview. And Numb3rs took viewers on a romp through virtual and physical CBS/Viacom advertisements to unlock features in the online game Chain Factor. With traditional shows offering such a wide variety of methods for interacting, online producers are challenged to take advantage of the unique features of their chosen medium in order to differentiate their products. Joss Whedon’s popular web musicomedy Dr. Horrible encouraged fans to submit applications to join the Evil League of Evil, while LG15 | the Resistance aspires to reach international audiences by extending its franchise globally. Hooking Up provides just enough to whet the appetite: far from the smorgasborg one would expect from a series delving into the lives of college students chronically wired to the web. 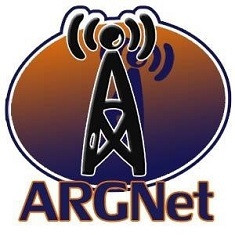 On a related note, Brent Friedman, the creator of Gemini Division, is scheduled as a guest for ARG Netcast episode 64. Joining Brent will be Doug Heidland and Tim Todd from Prime Time for Change for the discussion on Gemini Division’s efforts to capitalize on web television. The recording takes place on October 20th starting at 8:30 pm CT and will be livestreamed over the UStream.tv network.